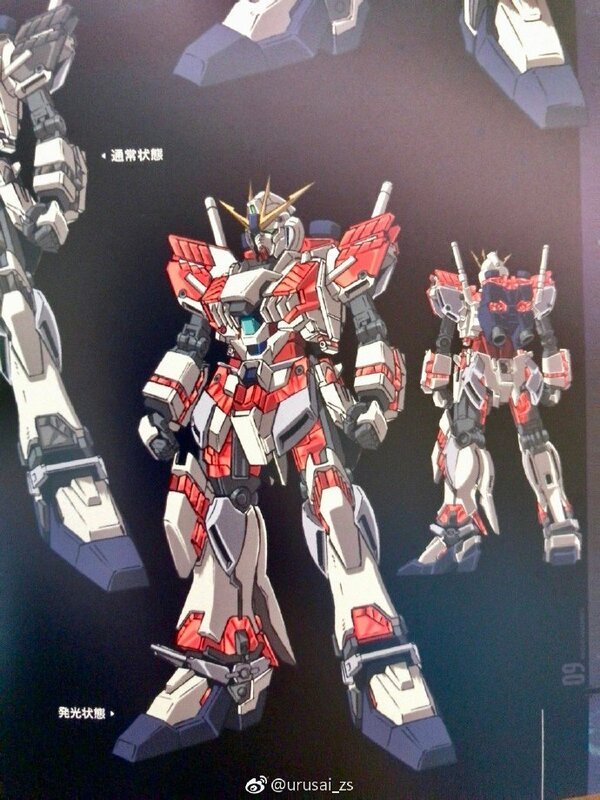 During the screening of the Mobile Suit Gundam NT in Japan, catalogs that given away to all viewers reveals some images of the Mobile Suits debuted in the movie including the C Packs for the Narrative Gundam. More details will be revealed on later dates. If psychoframe was discontinued then where did this come from? I swear if they took parts from the unicorn that was sealed away I'll be pissed. If you look at the chest the Vulcans are the same as the ones on the unicorns upper chest. so it seem like they salvaged it. After reading the novel summary I made a joke about them skinning the Unicorn for the C-Packs and it turns out that was probably true. That said I'm fairly sure the Narrative's Core Fighter has a psychoframe cockpit since it was glowing in one of the previews while using the B-Packs. 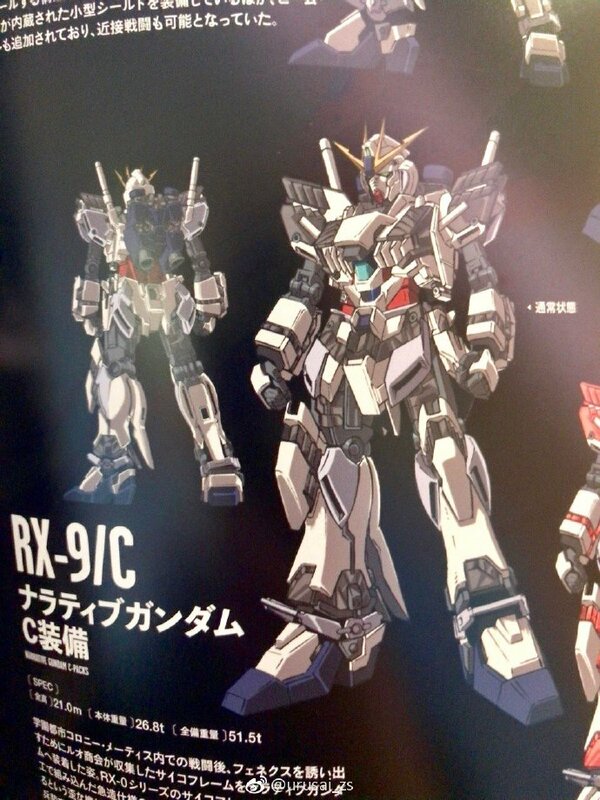 Prototype of the Nu Gundam. I really want to like this suit, but all I can think is "Unicorn did it better." It's another Unicorn. Another #$%&ing Unicorn. I told you, they really do that 'rinse and repeat' thing. i swear... if they take parts from the unicorn or banshee. there will be war. It looks like a skinned fish. 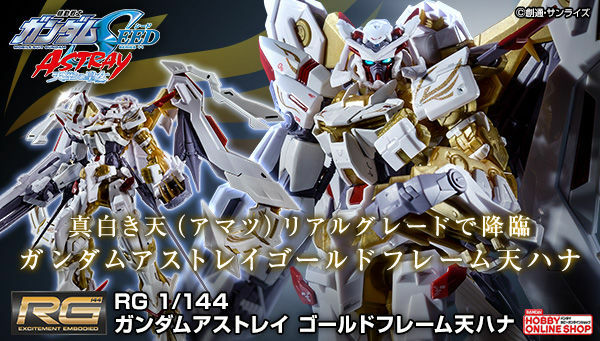 Was hoping he would get some Nu Gundam armaments...because you know...it was a test bed for Nu Gundam. But nooooooo more Unicorn. When B pack only use double modified jegan shield and inferior version of proto fin funnel, how it can deploy with nu gundam's armaments especially with fin funnel? 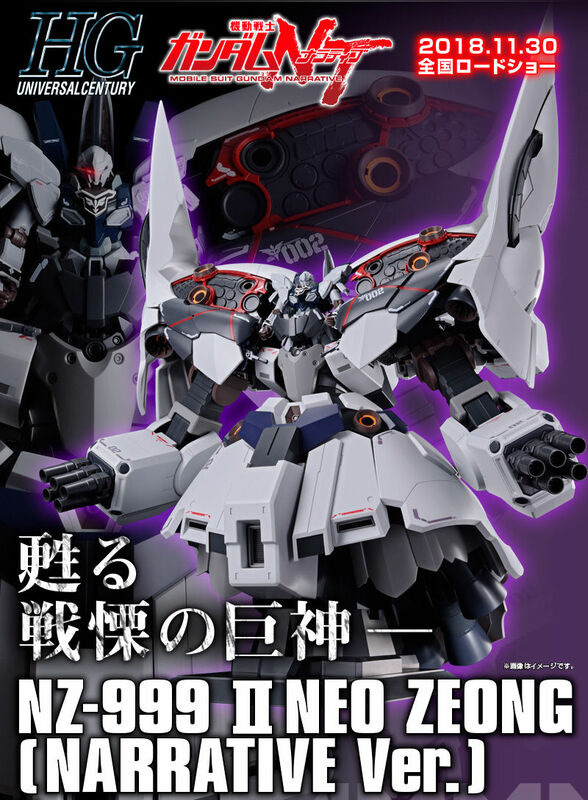 What I'm guessing is C pack configured solely for fight neo zeong II, although we never know it will have same performance with Unicorn. unicorn in a skimpy outfit. It just looks like superhero underwear on the outside. 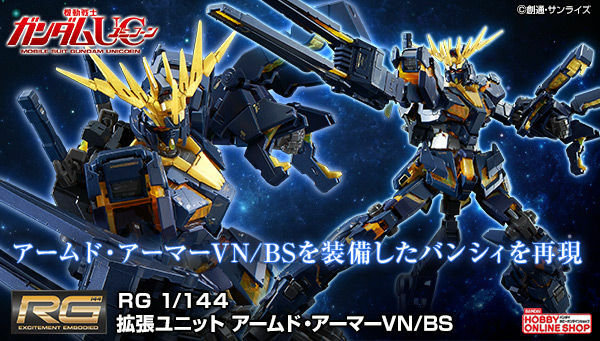 Now I want to go build a full psychoframe version of the Nu Gundam. But the stripped-down feel of the Narrative just doesn't do it for me. 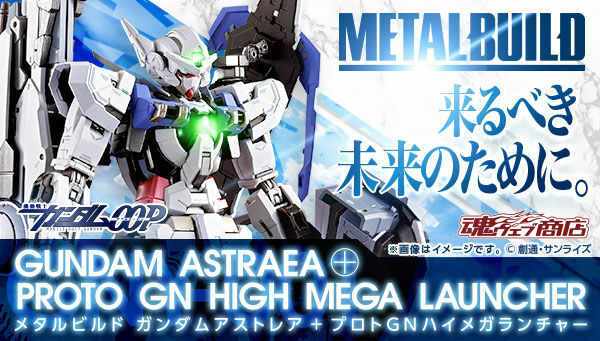 Wish there was a way to get the base mobile suit (for modding) without the A-packs. 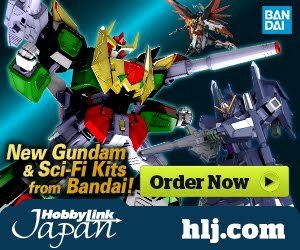 It's so cool (and p-bandai)!